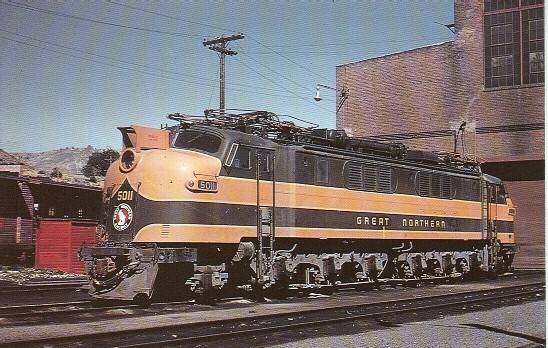 GN 5011, Y-1a class electric locomotive at Wenatchee. From a Vanishing Vistas postcard. Collection of Lindsay Korst. 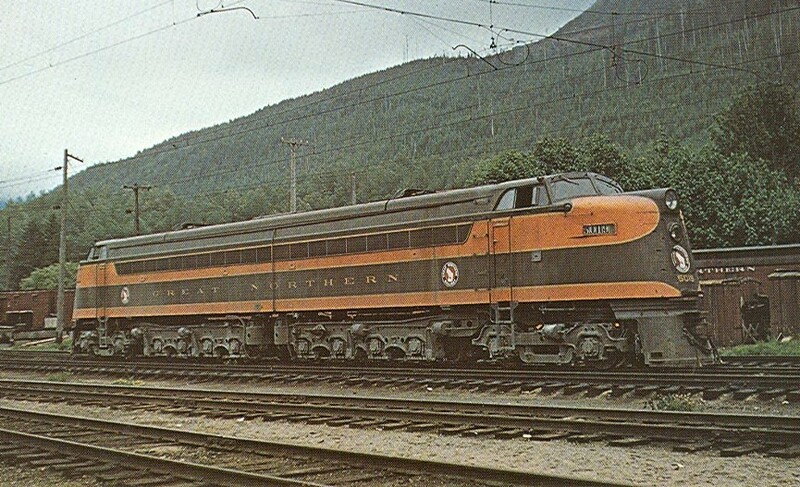 GN 5017 Y-1 class electric locomotive on GN Train #6, The Cascadian at Skykomish, WA. Philip B. Korst, Jr. photo. 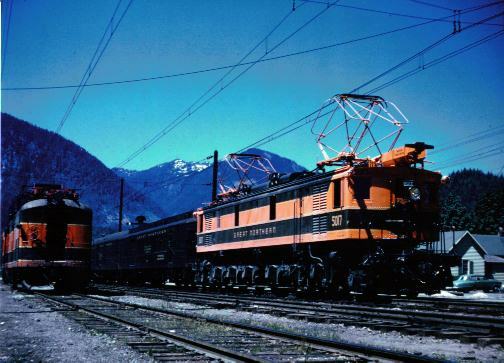 GN 5018 and 5019 W-1 class electric locomotives at Skykomish, WA. Photo by Montague Powell from the collection of Joe Shine. 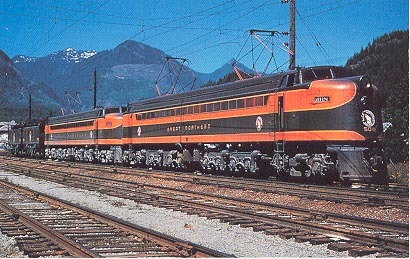 GN 5019 from a Vanishing Vistas postcard at Skykomish. Stan Kistler photo. Jim Jordan is one of my favorite GN railroad artists. Two of his framed and signed paintings (Memories of Minneapolis and Sounds of Seattle) hang in my living room. His website is http://www.jordanart.com. This is a postcard of one of his earlier paintings of a W class electric on Foss Trestle, near Skykomish, WA.